Brothers, sisters, rejoice! 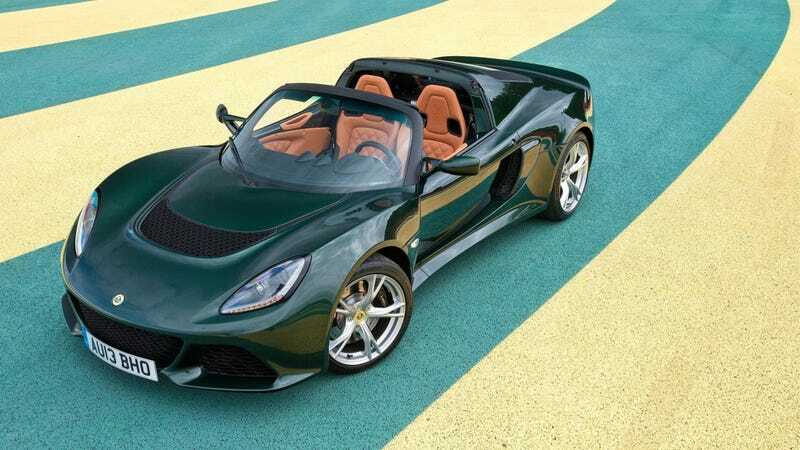 The wail of a new Lotus Elise and a new Lotus Exige are both on the horizon! Listen closely, listen carefully, and then listen a lot – a whole big lot – more longer. Keep listening. And listening. For years. Because the Lotus CEO said that while we are getting two new Lotii to replace the old ones, they’re “at least” four years out. No matter how you feel about the Lotus Elise and its racier sibling, the Exige, they definitely filled a hole missing in the American market. Small, track-ready British sports cars are exceedingly rare on our shores, and that goes double if they’re street legal. The Lotus twins were sold here until 2011, when their federal “smart” airbag exemption expired, and since then, they’ve soldiered on in Europe. But throughout the styling and engine changes, both the Lotus Elise and Lotus Exige are relatively unchanged, ever since the Series 1 version of the Elise went on sale nearly 20 years ago. And 20 years, in the car world, is a hell of a lot of time. Believe it or not there is still a lot to come from the current [20-year old] platform. There is at least another four years to go before we replace Elise and Exige. The next Elise and Exige will be federalised for US sale, just as we have done with the Evora 400. Also, in 2016, we will launch an Evora Roadster, which is a good fit for the US market. Though it might seem like I’m not enthused, I’m actually hugely excited about this. I’ve always loved a car that said that smaller is better – it’s why the Nissan 370Z is better than the 350Z, and for no other reason. The Elise and Exige are the epitome of that notion, and they look incredible to boot. And, as Gales noted, if you’re really hankering for a Lotus and you’re stuck stateside, you can always get an Evora 400. Even if its launch video was just a bit sad. There is even really good news, though. Gales went on to say that the company has actually had two – TWO! – profitable months through November and December 2015, which is impressive, for Lotus. Hopefully they’ll stick around long enough to see the new cars.